Frustration is definitely the first feeling I had once the Phillies put up their fifth run of the game. Frustration is a familiar feeling, but not when it comes to the Mets pitching staff, this is new for me. However, a win is a win and even more so within the division. McNeil, multi-hit game, duh! I suspect that he’ll have close to 700 hits this season. He also drove in a run, now giving him 10 on his 3-5 night. Wilson Ramos keeps hitting the ball and he’s hitting the ball hard. Whether if they’re finding gaps or finding gloves, he’s hitting the ball hard. Ramos went 1-5 with two RBI’s (ninth and tenth of the year) and a run scored. Robinson Cano laced a two-run double to right center, he also showed his normal discipline by taking a walk. 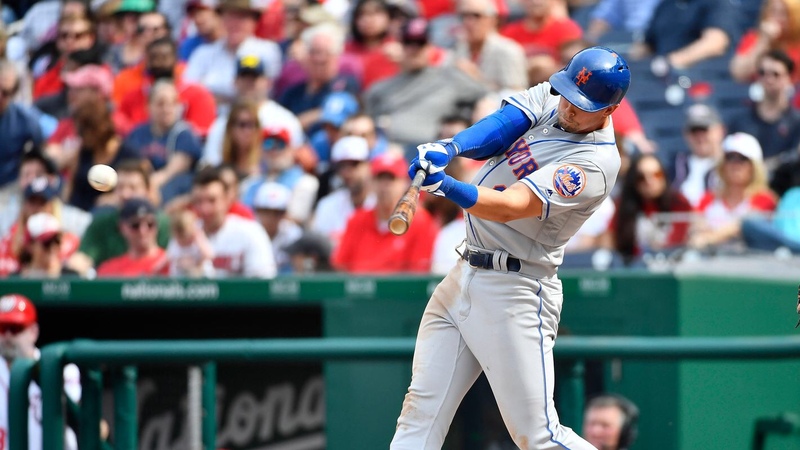 Brandon Nimmo continues to hit after his rough start. He stroked a solo home run off of LHP Jose Alvarez, his third of the season. Nimmo went 1-3 with three walks on top of that. Seth Lugo pitched two scoreless innings, lowering his ERA to 5.06 and struck out two. Robert Gsellman came into the game with the bases loaded, two outs, and the Mets up 6-5. A very high stress situation, Gsellman walked in the tying run on four pitches, however went on to pitch 1.1 innings lowering his ERA to 3.48. Luis Avilan got himself into and out of trouble in the bottom of the tenth, he went a scoreless inning and struck out Jean Segura with two outs. Michael Conforto would go ahead a drive in the go ahead run in the top of the 11th with two outs. Edwin Diaz came into close the game and get his sixth save of the year by striking out the side, Bryce Harper included.